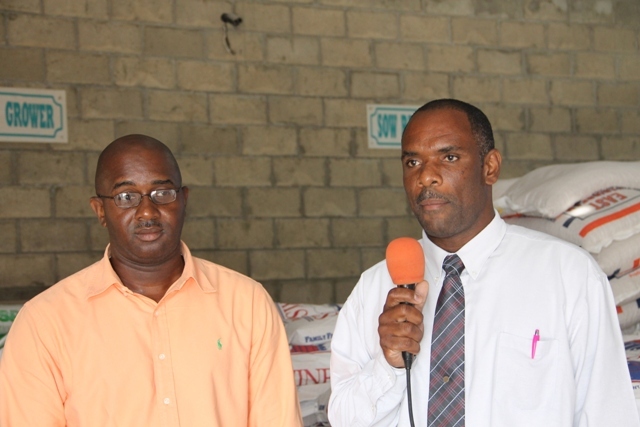 NIA CHARLESTOWN NEVIS (January 07, 2015) – Permanent Secretary in the Ministry of Finance on Nevis Colin Dore, says in spite of recent price adjustments to animal feeds at the Supply Office, the Nevis Island Administration (NIA) would find ways to share the increased cost based on their cost of production. Dore revealed the NIA’s plans to assist the animal farmers, when he spoke to the Department of Information on January 06, 2015 at Pinneys. He spoke on the heels of increased prices on animal feed which were effected from January 01, 2015. “It is our hope, that despite these adjustments, there will be no need for farmers to increase the price of the items to the consumers. “So we will look to see how we can share that burden. We may not be able to absorb all of it but I believe the NIA through the Department of Agriculture can absorb some and of course, farmers would have to pick up the extra increase in cost, based on their cost of production,” he said. Dore advised Farmers of the need to now look at their cost of production and see how they could minimise their cost without compromising quality, to ensure there would be minimal effect in terms of their overall production cost, becasue of the increase prices. To prospective farmers, Dore encouraged them to not be deterred by the price adjustments. “You now just have to farm smartly. Farm strategically to ensure that you are still able to carry on with various farming, whether its poultry or livestock farming with minimal effect, in terms of the increases in cost production. “Over time, the Department of Agriculture will continue to work with farmers to see how we can assist. Of course, we from the Ministry of Finance and the Supply Office from time to time, would also look to see how we can provide additional assistance directly to the farmers,” he said. Meantime, Dore gave the reason for the price adjustments which he explained was due increased prices from its suppliers and mounting arrears to them. “When we look at what is happening in terms of world prices, there has been an increase in prices from some of our suppliers in St. Vincent and the Unites States of America. “Over the years, we as a government continue to subsidise heavily the prices of items, to the extent that, some of the items being sold at the Supply Office are being sold at less than what it costs us to purchase them from the supplier. Even if those items are duty free and there is no Custom duty attached, we find ourselves at different points in time, where having sold the item and not in a position to even replace the stock because of the continuing increase in prices from our suppliers,” he said. 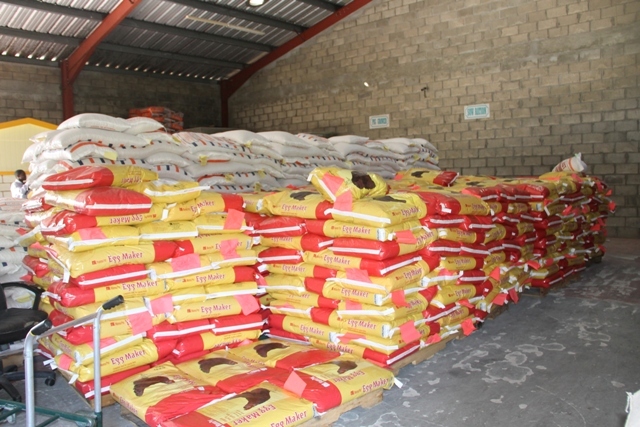 According to Dore, the Supply Office has had to deal with the continuous increases shipment by shipment over time which left the NIA with increasing arrears to suppliers. He said after the items were sold, they were unable to fully repay for the next shipment. He noted that the Administration was hopeful, that the price adjustments, it would be better placed to deal with the issue of increasing prices from suppliers. 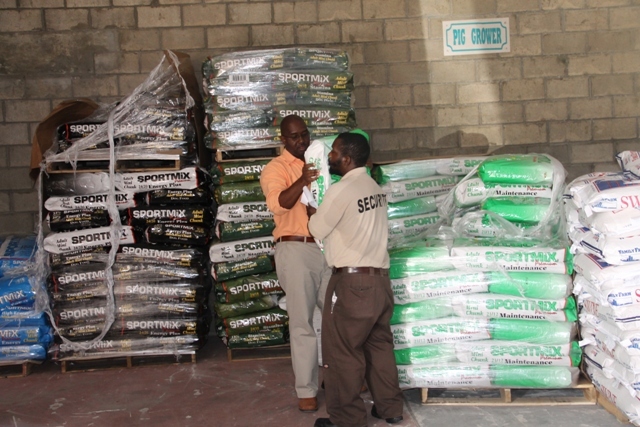 Meantime, Manager at the Supply Office Ricky Liburd, who accompanied Dore, gave specific details in the area of the price increases. “We have had an increase on the poultry feed which includes layer pellets, pullet grower, chick starter those prices are now $42 dollars for our poultry feed. 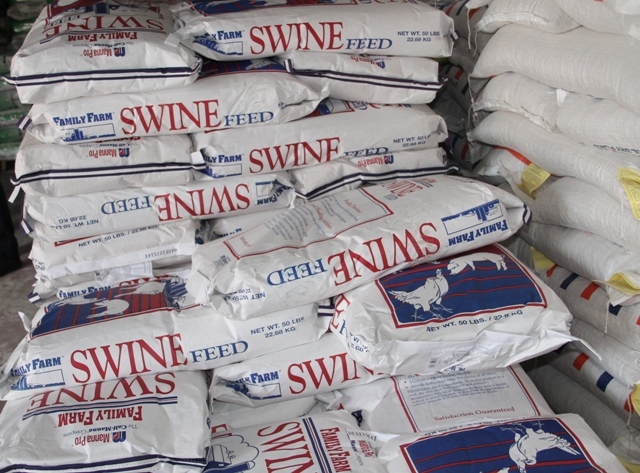 We have also had an increase in the swine feed and that includes the pig grower and the sow ration along with the general all-purpose feed. Those prices are $35. “We have also had an increase in the broiler feed, the feeds that are used for broiler production – the broiler grower, starter and finisher are now $45 per 50 pound bag. We have had an increase in a very popular feed, the meal feed which most of the pig farmers like to use. It was $35 but unfortunately we have had to increase that to $45,” he said.